I found this Christmas much harder to buy for the boys. They still like the idea of having lots of surprises to open. But now they are 9 and 11 I just don’t know what to get. They are in that in-between age which is difficult to please. Plus, they don’t stand on ceremony letting you know when a present is no good! You get the eye rolls and the huffs of disapproval. Fortunately, Find Me A Gift gave me much needed inspiration. I am less panic stricken about Christmas now! I think this company do stock a lot of gifts my boys will love at prices I can afford. Affordability is key because they don’t just want one or two surprises they think the more the merrier! I appreciated the novelty of these hot chocolate bombes. Both my boys drink hot chocolate and adore bath bombs, so this kind of gift combined two of their loves. Once the luxurious Belgium chocolate has melted the inside reveals lots of tasty mini marshmallows to enjoy! It’s quite a quirky present. I am confident this gift will get the boys seal of approval. This is a bit of a bargain now, as was originally priced at £17.99. It is a lovely item to enhance a child’s bedroom! It’s quite relaxing watching the jellyfish in action, a good way for children to unwind after a hectic day at school. The “jellyfish” move very realistically and watching them can help send a child off to sleep. This might end up coming in handy for me! I can feel a bit more confident about what exactly went on when the boys fall out over something. It’s quite educational too as children can build the piece of kit. Plus it might make them think twice about misbehaving too because I will find out! My boys still love bath time. It’s their chance to chill whilst they enjoy a good soak. However, they do like entertainment to amuse themselves whilst they bathe. I can’t believe that for just £3.99 this device turns your bath into an underwater disco show. They look fantastic, but perhaps buy a few at that price to really brighten up bath time! 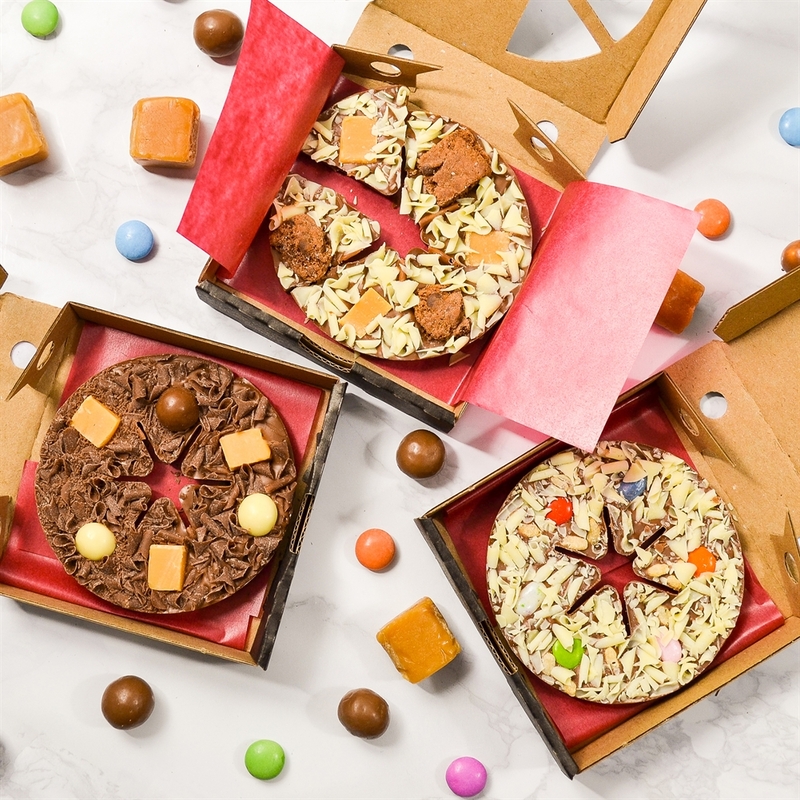 These chocolate pizzas are such an indulgent treat! Plus, with three in the pack and only two boys it’s a win-win situation for me! Now which one should I choose, Jelly Bean Jumble Chocolate Pizza, Rainbow Chocolate Pizza or the Crunchy Munchy Chocolate Pizza. The problem is they all sound so good! ← Who knew Flats could be so exciting!